The WhizKid Wheeled Postural Support System combines two great products to create the perfect mobility solution for disabled children (and adults) with postural support needs in low resourced settings. 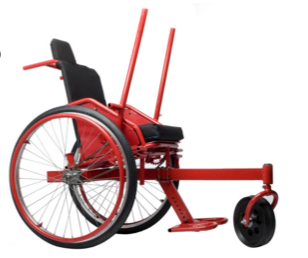 WhizKid attaches the D-Seat, designed by Diversability Development Organization (DDO), to Whirlwind’s acclaimed RoughRider® all-terrain wheelchair, making it easy for children to push themselves, or be pushed, over ground that would be difficult or impossible to traverse in a standard wheelchair. 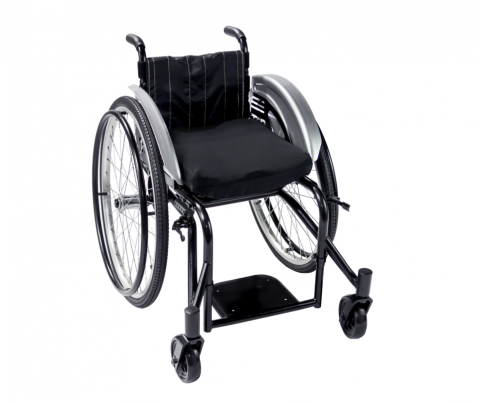 The design is consistent with the World Health Organization Guidelines on the Provision of Manual Wheelchairs in Less-Resourced Settings and perfectly complements the Wheelchair Service Training Packages. The complete WhizKid has been built on a modular format which enables creative customization. Features: Adjustable seat depth Adjustable seat width Adjustable backrest height Adjustable seat to back angle Adjustable tilt angle Adjustable height, width and depth of Lateral Trunk Supports, Abductor, Lateral Pelvic Support, Headrest, padded straps (shoulder, chest, lap, foot) customizable cushion removable tray The WhizKid is available for all ages. The quick release feature of the D-Seat and the folding mechanism of the RoughRider facilitate easy transportation. Optional parts are also available for further customization. 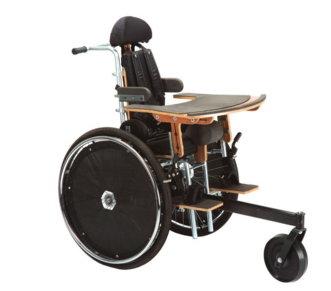 For product inquiries please contact DDO at info@diversable.org or Whirlwind Wheelchair International at info@whirlwindwheelchair.org Important: This product must be fitted by trained service providers. Given a trained and creative provider, WhizKid could be used to develop many creative seating solutions. A service provider with limited knowledge and skills can improve through direct training and supervised practice. 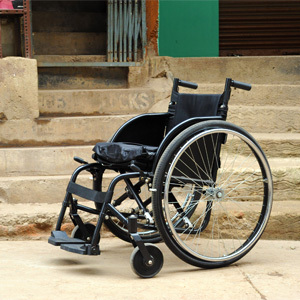 A highly versatile, folding, tilt-and-recline wheelchair for children in less resourced countries from age 1 to age 14 . The ROCKIT Chair can be configured with 3 wheelbase options,a big wheel, stroller or three wheeler. The ROCKIT Chair features numerous seating and positioning options to provide comfort and support for children with complex seating needs. The ROCKIT Chair can be produced by the indigenous population, creating employment opportunities for the able bodied and disabled. 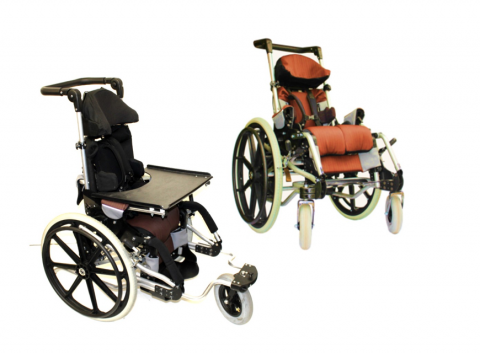 Motivation’s Active Folding Wheelchair is a size adjustable, active, four wheel wheelchair for semi-urban environments. 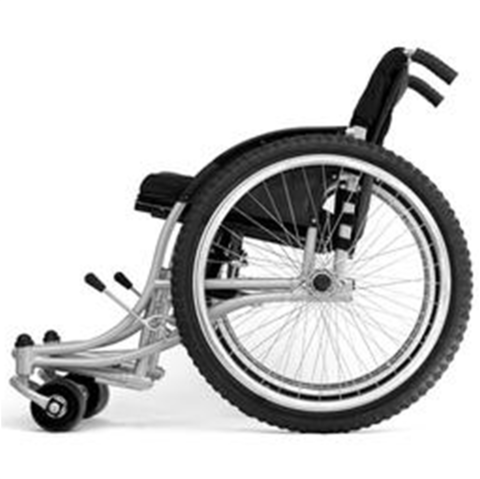 It is distributed through a network of Motivation’s wheelchair service partners worldwide. For children with or without postural support needs. 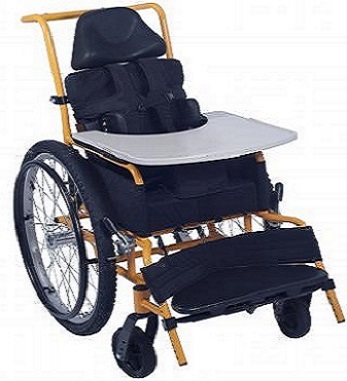 Includes: Solid seat, adjustatble back height, side trunk supports, tilting seating system, tipping prevention, adjustable seat depth, abductor, seat belt, chest strap. The award-winning RoughRider is designed to handle rugged terrain with ease. It has been proven in over 25 countries by thousands of riders who live in the worst of conditions and need the best of chairs. Riders use it as a super-durable daily-use chair or as a backup when life calls for off-pavement adventures. See it in action here. The RoughRider is Whirlwind's answer to expensive fragile chairs that unnecessarily limit access. 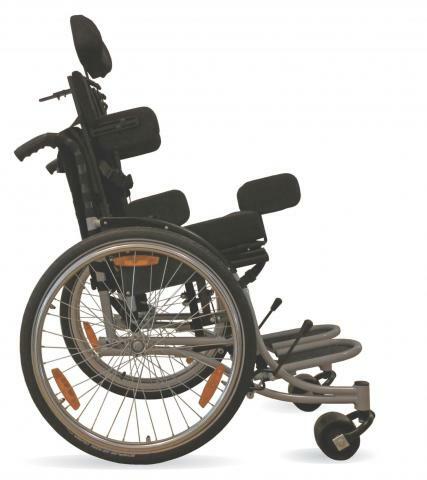 Priced at less than half of other outdoor wheelchairs, the RoughRider is by far the best-value rugged wheelchair. Now available in the USA. A custom fit active wheelchair for image-conscious users in urban and semi-urban areas who are economically disadvantaged. Chair features light weight, super durability, transportability, extensive fit and positioning options, and a sleek urban look.